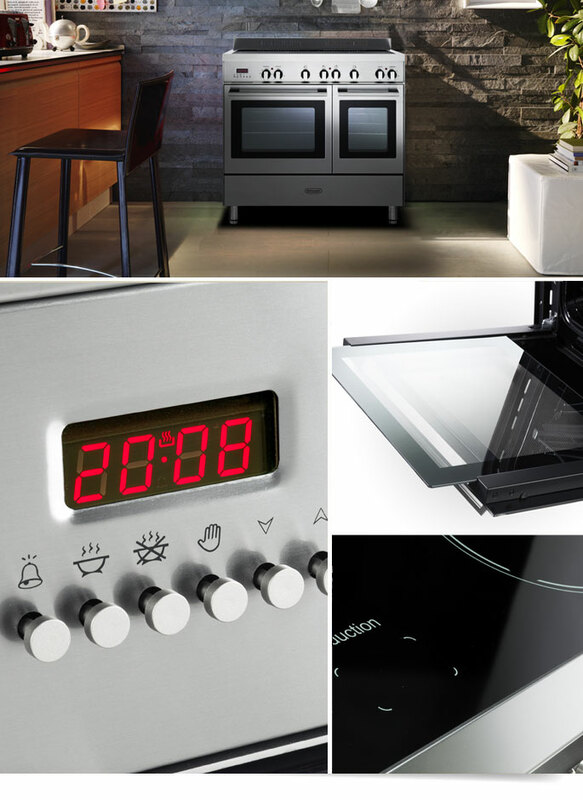 Delonghi have introduced a sleek, modern induction range to their comprehensive, well priced 90cm line up. Retailing at £1,095, it offers excellent value for money combining typically high DeLonghi build quality with Italian style. The price point belies the cooking capability - the Professional comes loaded with cooking features found on models costing twice as much and will sit effortlessly in most kitchen environments. 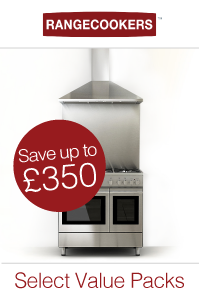 It offers a generous combined capacity of 115L, and whilst the majority of your cooking will be take place in the cavernous A-rated multifunction oven, the useful right-hand oven can take the lead with your meals for two, quick cheese on toast (both ovens have grills incorporated) or even work harmoniously with the left-hand oven, keeping your cooked dishes ticking over on a low heat while you complete the Sunday roast. Straightforward to use with its clear LED programmable timer display and as with all induction hobs, extremely easy to clean - this is helped even further by the inner door glass which is easily removable and the easy-to-clean vitreous enamel which coats the inside of each oven. The induction top has 4 zones, offering plenty of capacity for the average household. Each zone responds quickly to the dial controls and induction technology is safe for anyone to use, switching off the second you move the pan from the activated zone - also making it reassuringly energy efficient. The Professional also boasts a removable stainless steel upstand, a spacious storage compartment with drop down door & adjustable feet to perfectly align with your existing work surfaces. The Delonghi Professional Induction is typically available from stock - order now for fast, free UK delivery.